If you want to have early access to future Windows releases, Windows Insider program is a channel which allows you to receive preview release of Windows 10 builds and future Windows versions. Windows Insider was launched by Microsoft in 2014 to provide an ongoing process to get feedback from Insiders to improve the features and functionality of Windows. 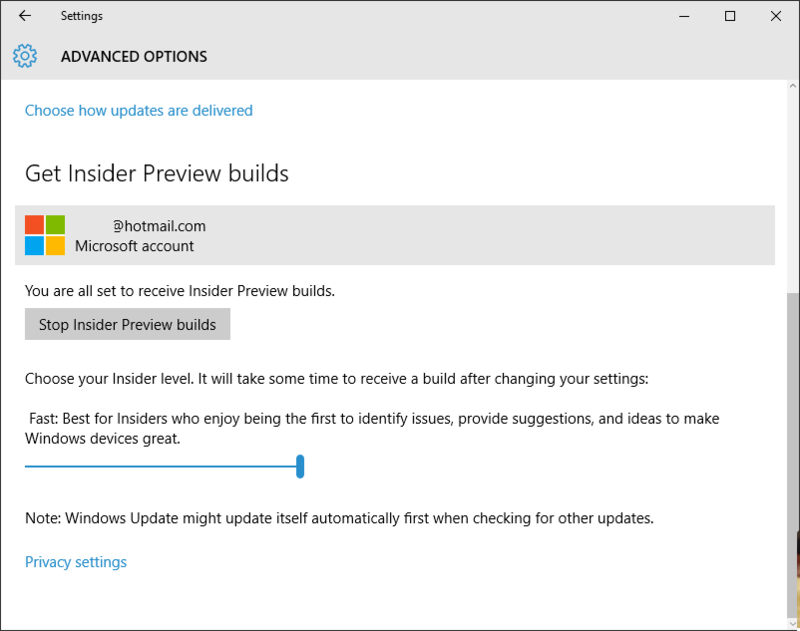 In return, Insiders get early access to preview builds. Windows Insiders are also the first to get the final RTM build of Windows operating system which is going to release publicly to end users, package as ISO images, burn into DVD and put on retail shelves, load onto new PC and etc. To sign up and join Windows Insider program is easy. Here’s the tutorial to sign up for Windows Insider and set up or configure your computer to opt in to receive Windows Insider preview release builds. If you haven’t sign up for Windows Insider, head to https://insider.windows.com/ to register. Microsoft Account (MSA) is required for Windows Insider Program. In addition, you will be required to login to Windows 10 with MSA too. On Windows 10 PC, open Settings app. In Windows 10 and Windows 10 November Update v.1501, go to Update & security -> Windows Update, and then hit on Advanced options link. In Windows 10 Anniversary Update v.1607 or later, go to Update & security -> Windows Insider Program. 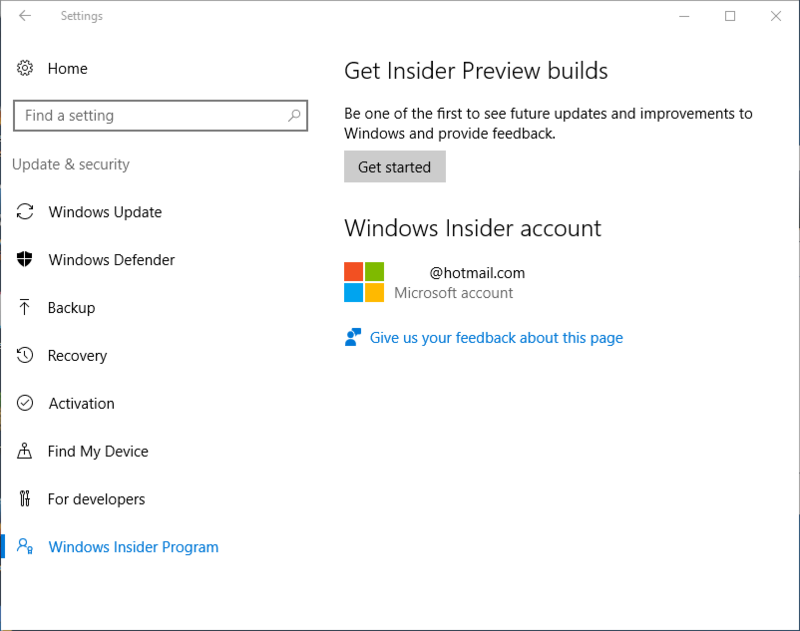 Hit on the Get started button under “Get Insider Preview builds”. If you are not signing into Windows 10 with a Microsoft Account, you’re required to do so now. Hit the Sign In button, and follow the on-screen instruction to login. 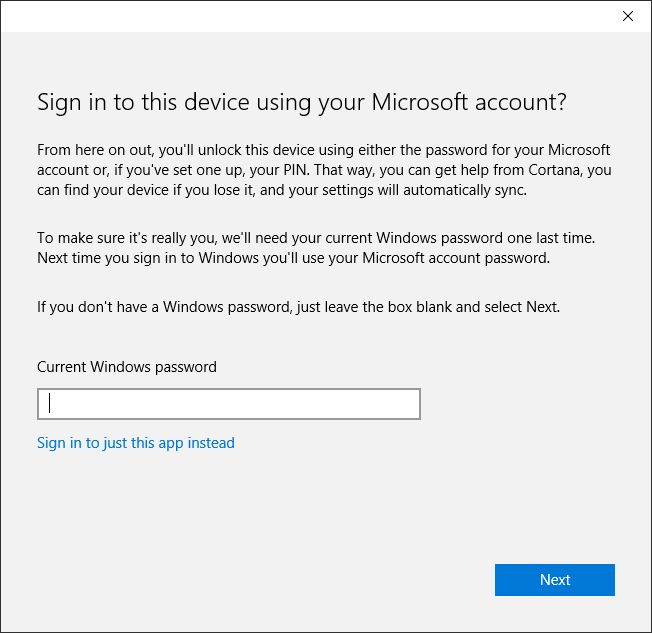 If you’ve signed in to Windows 10 with MSA, you may still ask to re-enter and verify the password. You can opt to sign in to Windows Insider Program only with the Microsoft Account instead of using Microsoft Account to sign in to the device. 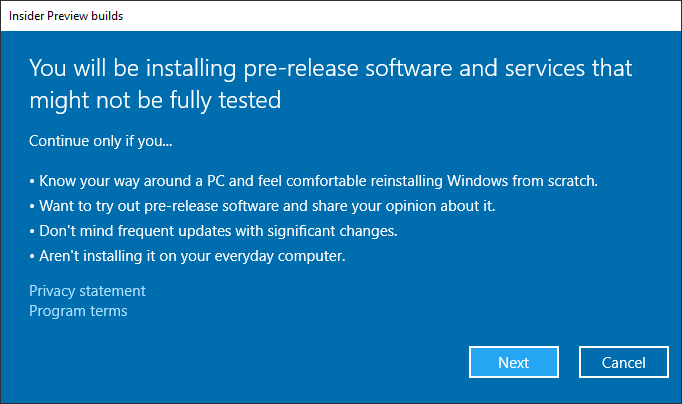 Click or tap Next button when warned about installing pre-release software and services that might not be fully tested. Click or tap the Confirm button when warned about you may need to remove everything from your PC and reinstall Windows if you ever want to stop receiving Insider Preview builds. Hit Restart now or Restart later (if you have something else to work on) to get started with Windows Insider. Fast – The first to receive any and every new preview builds. Slow – Only receive preview builds with minimal risk to the devices, lesser builds and less frequent. Release Preview – For early access to updates for the Current Branch, Microsoft applications and drivers with minimal risk to the devices. 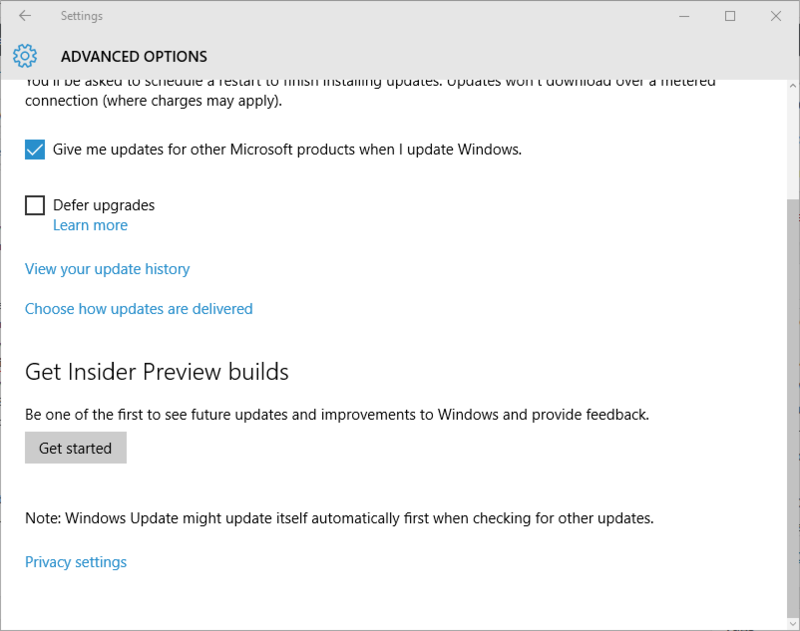 When all configuration is done, check for updates, and you should see new Windows 10 preview build been offered. After getting the build you want, or if you have tired with restarting the computer for Insider Preview builds, you can always stop receiving Windows Insider Preview builds on the computer.